This little feral cutie has inspired a number of pieces in my studio. One very fun way to bring your pet’s face to life is to print the image on translucent fabric (here, I printed in all purple since that was the color scheme). 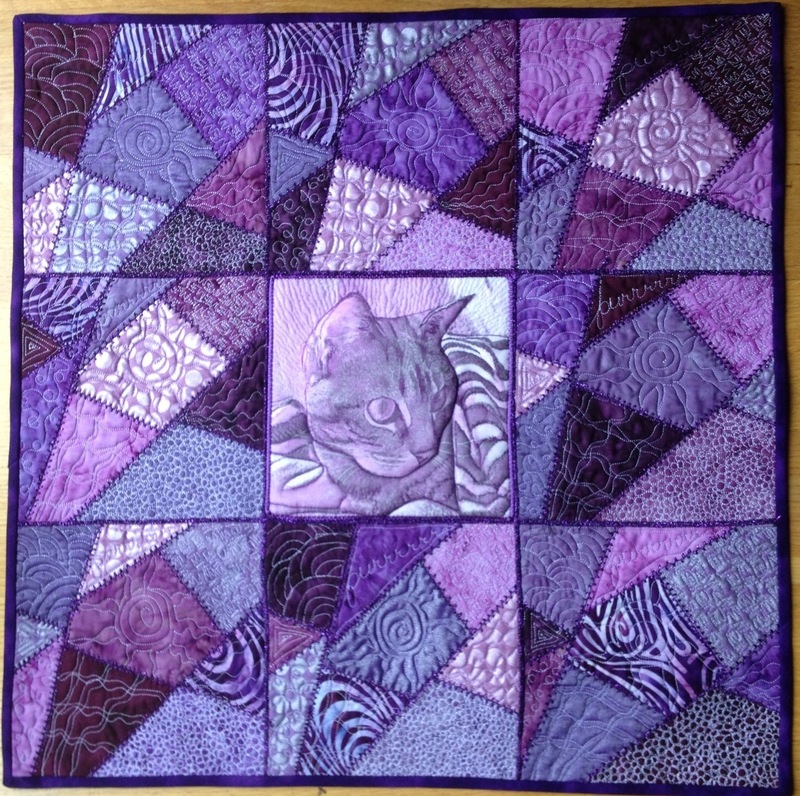 Add extra batting beneath this portion of the quilt…here, I added 2 layers, a block-sized square and a kitty-head shaped piece. The first stitching step here was to lightly thread-paint her face (I used very fine purple thread) to enhance details and shading. 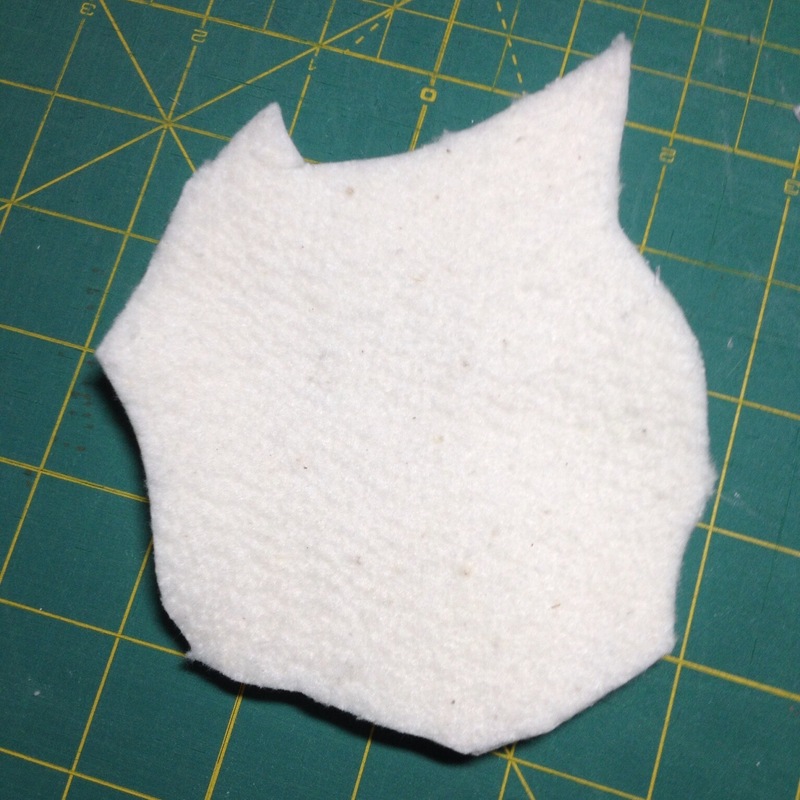 Then, I spray-basted those extra pieces of batting in place before layering the whole piece with batting and backing. 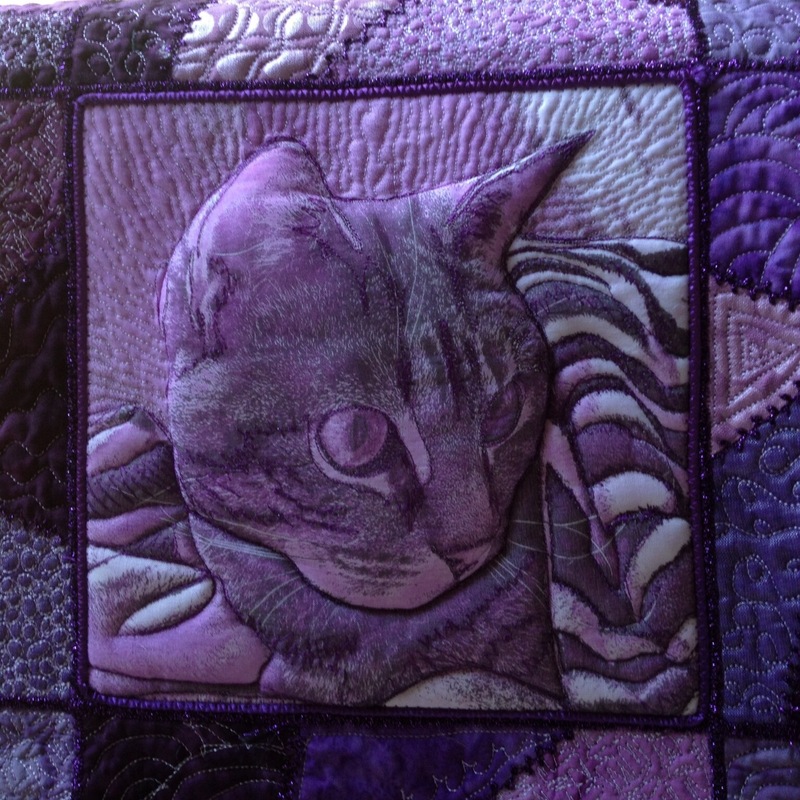 This entry was posted in Uncategorized on December 13, 2015 by neonkittyquilts. I do not understand the translucent fabric. Do you mean just a thin purple fabric ironed to a piece of paper. Just ordered some. This looks like such fun. Thanks so much for posting.